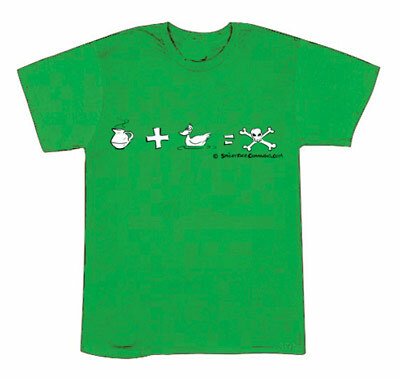 This shirt only makes sense if you've read the comic strip, but it's a great conversation-starter. The design is printed on a 6 oz. shamrock green Gildan t-shirt and is available in small, medium and large. Scroll down to see the design on a shirt. From the time you place your order, you can expect your new shirt within two weeks.